Growing up I was an only child of a single mother in a radical pentecostal church, there were a few men who tried to be a “father figure” in my life. I always wanted to find my biological father, my mother told me, “you have fathers and you know they love you.” The first thing that is wrong with that is fathers plural. There was never just one, they were all there to “help” from time to time. But they really only cared if they thought “my soul might be in danger.” In other words, they were only there for negative. They only cared about correcting me and preaching to me. They, for the most part, did not want to show actual fatherly love in the sense that a young boy would have craved. As I got older, I was deemed a misfit. At 14 I was a danger to the community; they told me was unable to have contact with any of my peers for fear that I would “poison them.” They did not care about ME, they only cared about their dogma. They only cared whether or not I would comply with their lifestyle. Beyond that, they couldn’t care less. They just assume see me rot in prison, because that would justify to them that they were right and they could use me as an example. My poor mother is been so brainwashed by them, she feels she cannot make a decision without their approval. She always put them in front of me, believing always they had her and my best interest at heart. She believes that they are a direct line from god, and what they feel is best has got to be god’s will. They just used her for her tremendous musical skill, and I was just an afterthought to entice her services. They told me if I wanted to leave me and my mother would have to move to Dennison. They would put me in public school until I was 18. Then my mother would move back and I would be on my own. This scared me to death. Luckily my grandparents offered to let me move in with them. That is how I escaped. When I got out I was mentally behind and completely unprepared. So it has taken me the last ten years to discover who I am and what I think. I am still of course continuing to search. I would say I am desperate for understanding, but I am not angry at life. I know it might sometimes come off as angry when I complain and rail about things that I annoy me or that I disagree with. 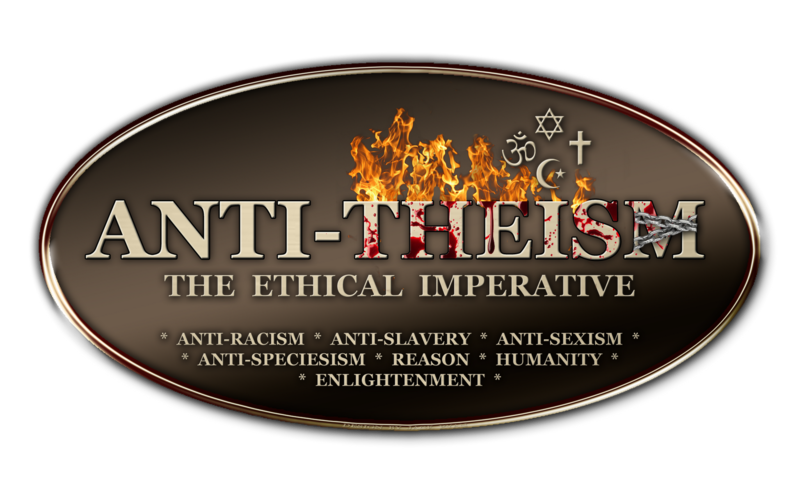 The reason I do that is because I am an activist and an anti-theist. I like to challenge the status quo; I do not just accept that things just are the way they are. I employ logic and reason, and search for evidence to find out what makes sense to me. I started using Facebook as a tool to express my opinions. I soon found out that a lot of people do not want to exorcise their brain and actually try understand what I am questioning and why. I know this is an example of how religion poisons everything, Christians, and even more so for Muslims, do not like people to question their doctrine. Homestead would be a prime example of this. Therefore people who are still under the mindset of “do not question anything, just accept it for what it is” hate when people like me dare to question or make light of their dogma no matter how crazy it might seem. I recently spoke to a reporter who is investigating allegations of abuse in the cult. My mother found out of course and decided to end our relationship. The passage my mother quoted me supporting her decision to discontinue our relationship is completely justified by the bible. “If anyone comes to Me, and does not hate his own father and mother and wife and children and brothers and sisters, yes, and even his own life, he cannot be My disciple.” Luke 14:26 There are scriptures that contradict that very passage. This is a prime example of “cherry picking,” picking a scripture that fits what is needed, but ignores other scriptures that say the exact opposite. I am sure a skilled theist can make up some justification to that scripture. “Everyone who hates his brother is a murderer, and you know that no murderer has eternal life abiding in him.” 1 John 3:15 not only is that scripture completely wrong, but it contradicts the criteria of being a follower of Jesus. Saying that someone is a murderer because they might dislike, or even hate a person does not make them in the slightest bit a murderer. That is like the scripture that says, “But I tell you that anyone who looks at a woman lustfully has already committed adultery with her in his heart.” Matt. 5:28 It is impossible to control the thoughts of a person. How can you commit adultery “in your heart?” And it is only adultery if one of the people is married. These are scriptures similar to the commandment “Thou shall not covet thy neighbor’s goods” which is the basis for our capitalistic economy, our society is run on the fact that people covet. What people think cannot be regulated. Besides, if nobody ever looked at anyone with lust, nobody would ever hook up or get married. Lust as they call it, is just a natural function of our brain called attraction. If we were not attracted to anyone sexually, how would we have propagated our species? Several theists told me to read "A Case for Christ." I read it. Although it did not change my mind, I found it interesting. It actually bolsters my view. I would point out that Lee was not an atheist, he was a skeptical non-believer. He only interviewed ONE non-Christian expert. That expert was only to say that, in his medical opinion, Jesus could not have survived what experienced on the cross. That is an easy conclusion to come to. The rest of the experts are just saying why they believe the gospels to be the gospel. They might in their expert opinion think that Jesus was not delusional, and that he was in fact a god etc. I can concede that me might have existed, more likely he is just a representation of people like him, prophets who thought they were Messiah. However there is nothing, no evidence to support that he was anything but just an influential guy who had a lot of fans. The whole basis of Christianity is based in the concept that everyone is born in “sin.” Before Jesus, people were atoned for by blood sacrifice. Then Jesus came and died as the final atonement for all, but then he was resurrected and that proved that he was god as well as human, a demigod is what the Greeks called such beings. I reject the basis for this belief. We are not born into “sin,” thus we do not need atonement. Blood sacrifice is primitive, archaic and brutish. It only shows that primitive people did grasp what cause nature to work, they thought by taking life, it would in turn make the gods happy and give back life in a sense. Remember, the ancient central and South American natives performed human sacrifice to appease the gods. In their minds it made the sun to come up and the rain to fall. We find that abhorrent today, but yet the concept that a demigod sacrificed himself in order to “save” humanity is perfectly acceptable? I have been reading "God is Not Great, How Religion Poisons Everything." It is an amazing book. If you want a glimpse into my general philosophy on the subject of religion I would recommend reading it. I don’t think that it is fair to say the reason I am skeptical, and reject religion is because of my negative experience at Homestead. The arguments for religion stand and fall on their own merit. When I was younger, about 13 or so, I remember asking the question (after learning about the ancient Greek gods) “What makes those gods different from our god or Allah? What makes Christians correct? What sect of Christianity is correct? Is everyone who was unfortunate enough to be born on the wrong continent with the wrong religion going to hell because they have not heard ‘the good news?’” I would say my skepticism started young. My activism however is because of Homestead, I see what religious mind control does to people and therefore I do anything in my power to undo and prevent it from happening. 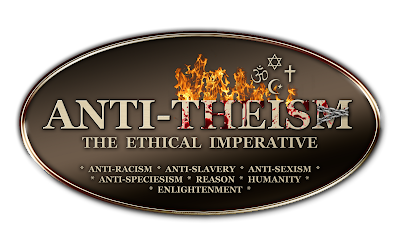 I am not just an anti-theist either; I am an activist for equal rights and freedom from tyranny for everyone as well as the separation of church and state. My biological father is a gay, transgendered woman. Before I even met her or knew anything about her, I had gay friends, dated trans-women and discovered that I am bisexual. Equal rights for everyone, especially for the LGBT community is very important to me. I am fanatical about equal rights for marriage, I myself do not ever plan to marry but to say two consenting adults who want to make that kind of commitment is wrong, to me is appalling. The government needs to live and let live. It should only make laws in order to prevent harm to other humans. Otherwise leave us well enough alone to think, believe and love whomever we like.